Fundraising can be hard work. It takes time to meet new donors, move them through the fundraising funnel, and sit down with them to make an ask. For every new prospect that eventually writes a check, many more will fall out of the funnel somewhere along the way. Does you non-profit send out an auto direct message to everyone that follows you on Twitter? Or, perhaps, a copied and pasted message to everyone who connects with you on LinkedIn or Facebook? Does that message contain an ask? If so… stop! The truth is that it does hurt. It starts the relationships off on the wrong foot. Remember, in order to ask someone for money, you need to cultivate them and build a relationship first, particularly if you are looking for long-term, sustainable funding for your organization. Never have your first communication with a donor be an ask, even if you keep it to 140 characters or less. I’m a big fan of non-ask events. In my experience, holding introductory and cultivation events for new prospects and referrals is a great way to fill your pipeline with new potential donors. Unfortunately, when I suggest non-ask events to a non-profit, one or more board or staff members (usually, it’s board members) say it would be a waste to hold the event without including at least one ask. Many times, the organization will hold the event, and against my advice, one of the speakers at the event will make a short fundraising ask… something like, “If you’d like to make a donation, we really would appreciate it. There are envelopes in the back, please pick one up on your way out and help us make these plans a reality!” The result of this type of short, lackluster, “add-on ask” is usually $0… or maybe the non-profit will get one or two small $25 checks back in the mail. The trade-off for this minuscule revenue is a ruined relationship-building opportunity. Once that ask is made, everyone who came to the event will see it as a “fundraising event” instead of just a “get to know you” event. The relationship with new prospects will be started with an ask, instead of an introduction and cultivation phase. And as a result, more prospects will immediately drop out of your funnel, before they got the chance to really know your organization’s mission. 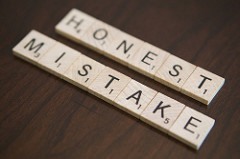 Lots of fundraising “shy” non-profits make this mistake. They send out a fundraising letter to their donors, or a solicitation e-mail to their entire list, and wait for the checks to come rolling in… without them providing any other support to that fundraising ask. In short, they do a one and done fundraising appeal, never wanting to “annoy” their donors by making too much fuss about fundraising in a short period of time. More often than not, these organizations are disappointed by the results. Great fundraising appeals are multichannel / multi-solicitation affairs. If you’re sending out a snail mail fundraising letter, try sending out an e-mail before the letter, announcing the appeal, and then an e-mail after the letter, reminding donors to make a donation and including a link for them to do so. If really want to get advanced, you can add in some follow-up calls to a segment of your donors asking them to give. The same is true for online fundraising campaigns, annual appeals, crowdfunding efforts, etc. The more activity you carry out in support of an ask (within reason, of course) the more likely you are to see strong results from your fundraising activities.